Most of our clothing is Junior sizing and tend to run a tad small. If you like a little bit of a looser fit, we suggest ordering one size larger then normal. - If your items are in stock, we will ship them as soon as possible. - If we are waiting on a shipment of items, we will ship them as soon as your items are received in our warehouse. - Please allow for transit time in addition to processing time. Please allow 2-4 business days for orders to be processed. A tracking number will be emailed to you once the order has shipped. If you need to receive your order faster please email us and we can arrange a different shipping method or rush your order for a small fee. Please contact us in advance for this option. Please contact us at service@divasboulevard.com ASAP If you would like to change your order, or something was done by mistake we would be happy to change that for you! All U.S. orders are shipped via USPS Priority Mail or First Class Mail depending on your shipping area. Delivery times will vary. Canadian Orders - our office will email you an invoice for additional shipping charges. 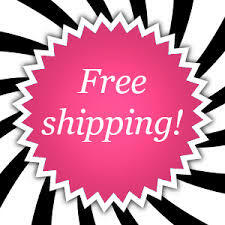 FREE Shipping on orders over $100 to all U.S Orders - no promo needed. For all rush shipping requests please email us at, service@divasboulevard.com and we will gladly send you a shipping quote based on your needs. The sales and use tax for shipment out of California is 8.75%. Your applicable sales tax will be noted once you get to the payment page of your ordering. Our main form of payment is through Paypal. It is easy, and most importantly-safe and secure! You do not need an account with Paypal to utilize this service. Unless otherwise specified, all materials appearing on this site, including the text, site design, logos, graphics, icons, and images, as well as the selection, assembly and arrangement thereof, are the sole property of Diva's Boulevard & Co., Copyright © 2012 and beyond, ALL RIGHTS RESERVED. You may use the content of this site only for the purpose of shopping on this site or placing an order on this site and for no other purpose. No materials from this site may be copied, reproduced, modified, republished, uploaded, posted, transmitted, or distributed in any form or by any means without our prior written permission. All rights not expressly granted herein are reserved. Any unauthorized use of the materials appearing on this site may violate copyright, trademark and other applicable laws and could result in criminal or civil penalties. We accept the following credit cards: Visa, MasterCard, and Discover. There is no surcharge for using your credit card to make purchases. Please be sure to provide your exact billing address and telephone number (i.e. the address and phone number your credit card bank has on file for you). Incorrect information will cause a delay in processing your order. Your credit card will be billed upon shipment of your order. Diva's Boulevard & Co. also excepts Pay Pal payments.